Roughly 20 miles northeast of the Resplendent Roadside Inn are a few hills that seem out of place – their forms almost shattered as if they had been lifted from the ground, crushed, and then dropped back into place. Beyond the northernmost of these shattered hills is a small hole in the hillside that leads down about thirty feet to a formidably sealed door marked with glyphs or warding and warning in the dwarven tongue. Beyond that door is the Mithril Temple – a small cave where one entire wall is made up of that strange metal, worked and refined. Further back in the cave is a small room housing the priest-caretaker of the temple, forever protecting the temple from the predations of those seeking the precious metal. In this task he is aided by truly mighty powers – with but a prayer the temple seems to defend itself with blasts of energy and lightning that strikes down those tho intrude. 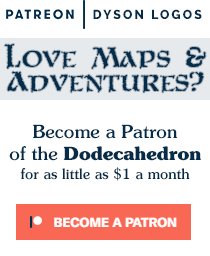 I’ve had several requests from those supporting the Dodecahedron through my Patreon Campaign for a crashed spaceship. Originally I was thinking something akin to Expedition to the Barrier Peaks, but that’s already been done. Thus I present the Mithril Temple, a small crashed ship that remains at least semi-functional (at least in defensive capability). It would also make a cool map for a Gamma World / Mutant Future campaign, which is what I plan on using it for. 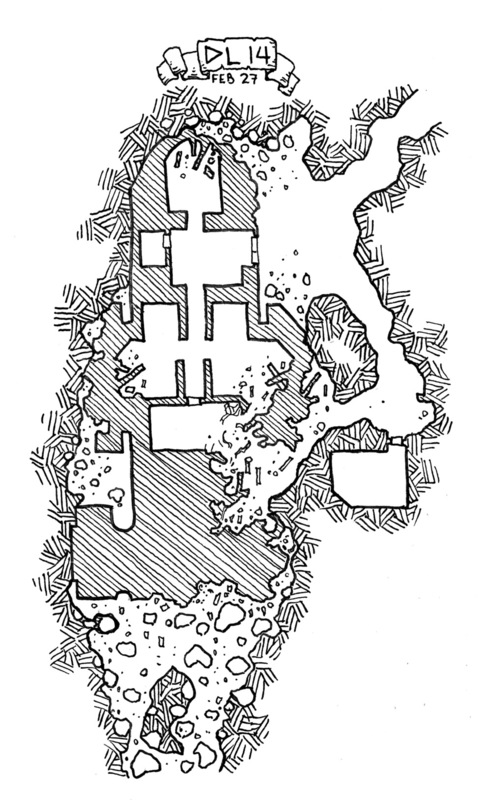 The Mithril Temple was drawn using three Sakura Micron pens – a 03 for the walls, a 01 for most detail work, and a 005 for the lines in the ship itself. It is made available for your personal use and reuse by the awesome support of J Dale Himebaugh, Eric Franklin, Rafael Rocha and the other hundred or so patrons of the Dodecahedron. Do you by any chance have overland maps? Not a lot yet, but yes I do. Check out the map link at right.